The 2016 Toronto Sailor Moon Celebration is this Saturday, July 9th, at the Ontario Science Centre. Last year I attended the event and recorded the voice actor panel. 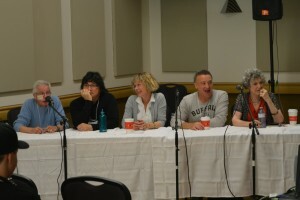 This panel included Roland Parliament, voice director for the first 65 episodes and the voice of Melvin, Tony Daniels, the voice of Jadeite and Wise Man, Susan Roman, the voice of Sailor Jupiter, Ron Rubin, the voice of Artemis, and Jill Frappier, the voice of Luna. 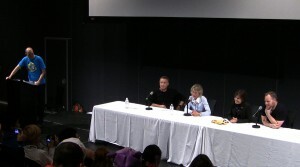 If you missed last year’s event you can watch the panel below. This year’s event looks like it will be a lot of fun. It has some great guests including voice actors Vince Corazza, the voice of Alan and Tuxedo Mask, Tony Daniels, the voice of Jadeite and Wise Man, and David Fraser, the voice of Raye’s Grandpa and other minor roles in the series. Jennifer Cihi, who sang many songs for the English dub, will be there to perform a concert. For more information on this and other events at the convention check out the event’s web site. Anime North is this weekend, May 27th to the 29th, at the Toronto Congress Center and 9 actors from the original dub of the first Sailor Moon anime will be there! This includes two voices of Sailor Moon. 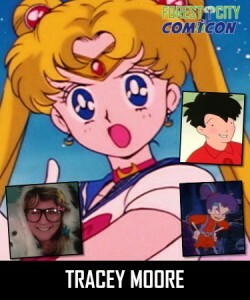 The first voice of Sailor Moon Tracey Moore, provided her voice for only the first 11 episodes as well as another four throughout the series. 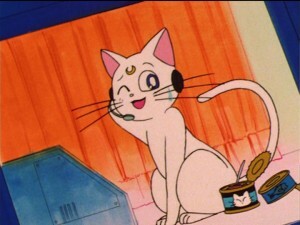 Linda Ballantyne was the third voice of Sailor Moon, providing her voice for the S and SuperS seasons. Also appearing are Katie Griffin, the voice of Sailor Mars, Susan Roman, the voice of Sailor Jupiter, Barbara Radecki, the voice of Sailor Neptune, Jill Frappier, the voice of Luna, Ron Rubin, the voice of Artemis, Toby Proctor, the second voice of Tuxedo Mask, and John Stocker, voice director for Sailor Moon S and SuperS. Toby Proctor, having himself replaced Rino Romano as the second voice of Tuxedo Mask, mostly acted alongside Terry Hawkes and not the two Sailor Moon voice actors in attendance, though he did appear in four episodes with Tracey Moore. The panel with these voice actors will take place on Friday at 5pm. On Sunday at 11am Tracey Moore and John Stocker will be holding a behind the scenes of voice acting panel. The voice actors will be signing autographs throughout the weekend. Check out the Anime North schedule for the exact times. The convention is full of Sailor Moon related events. A Sailor Moon panel will be held Saturday at 10am and a Sailor Moon Merchandise presentation will be held Sunday at 11am. Though I am Canadian I don’t live in Toronto. I’ve been to Anime North a number of times and have always had fun but unfortunately I won’t be attending this year. This weekend, March 18th to the 20th, is Toronto ComiCon at the Metro Toronto Convention Center in downtown Toronto. In attendance on Saturday March 19th will be a ton of voice actors from the original English dub of Sailor Moon. This includes Linda Ballantyne, the voice of Sailor Moon, Katie Griffin, the voice of Sailor Mars, Susan Roman, the voice of Sailor Jupiter, Toby Proctor, the voice of Tuxedo Mask, Jill Frappier, the voice of Luna, and Ron Rubin, the voice of Artemis. A “Meet the Cast of Sailor Moon” panel will be held Saturday afternoon at 4pm. The cast also has space at the autograph area near the food court, though it is not clear at this time what the schedule for autographs will be. There will be a lot to keep a fan busy with a number of panels, a vendor area and craft area. Tickets are currently only $10. The price of tickets will be going up tomorrow, August 27th, so get your tickets now. If you didn’t get a chance don’t worry, they are only going up to $12. Entry into the Ontario Science Centre exhibits must be purchased separately for those who are interested in them. I visited the Ontario Science Centre last summer and found there were a lot of interesting exhibits there which are worth checking out. 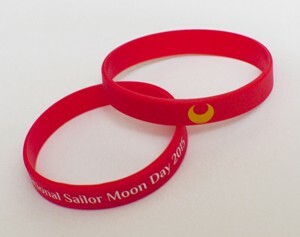 Along with your ticket you can order a $2 International Sailor Moon Day wrist band which is exclusive to this event. The event carries some Sailor Moon Day branding as it was originally planned for Sailor Moon Day earlier this month before being delayed. Roland Parliament recently wrote the book Sailor Moon Reflections which recounted many memories from his time recording Sailor Moon. Though I never got a chance to formally review the book I did read it and found it to be fantastic. It is a very interesting take on the history of Sailor Moon that any fan of the original dub should check out. Unplugged Expo III is just a week away, September 27th and 28th, in Toronto. 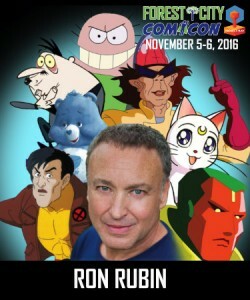 Sailor Moon fans will be able to meet Barbara Radecki, the voice of Sailor Neptune and Serena’s Mom, Sabrina Grdevich, the voice of Anne and Sailor Pluto, Roland Parliament, the voice of Melvin and author of the upcoming Sailor Moon Reflections, Ron Rubin, the original voice of Artemis, and Johnny Yong Bosch, the new voice of Artemis. The Unplugged Expo schedule has been posted to their web site. Here’s a run down of what’s going on. Saturday at noon they’ll be starting off with the Sailor Moon Celebration voice actor panel featuring Barbara Radecki, Sabrina Grdevich, Ron Rubin, Roland Parliament and hosted by Emily from Moon Chase. Saturday afternoon at 4pm Emily from the Moon Chase Sailor Moon News blog will also be running her Sailor Moon Merchandise panel in which she talks about all kinds of licensed Sailor Moon items from Japan and here in North America. Saturday evening at 6pm and 8pm and Sunday morning at 11am Roland Parliament, the voice of Melvin and voice director for the first 65 episodes of the dub, will be reading excerpts from his new book Sailor Moon Reflections, The inside story of the original recordings of the English version of Sailor Moon. He will have a limited number of copies of the book for sale at the convention. Sunday afternoon at 3pm will be the Sailor Moon Now and Then panel featuring both voices of Artemis, Ron Rubin and Johnny Yong Bosch. This panel will discuss how much has changed throughout the series and discuss Sailor Moon Crystal. Emily from Moon Chase will also be hosting this panel. For autographs and photo ops the Sailor Moon cast, Barbara Radecki, Sabrina Grdevich, Ron Rubin and Roland Parliament, will be available Saturday at 1pm. Johnny Yong Bosch will be available Saturday at 2pm and again Sunday at 1pm. Johnny Yong Bosch and Ron Rubin will be having a joint autograph and photo session Sunday at 4pm. These are all the Sailor Moon events officially listed but there will be a lot more going on at the con including a lot of Sailor Moon cosplayers! 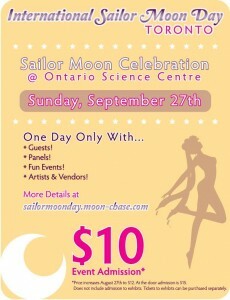 Toronto Sailor Moon fans should be sure not to miss this one! 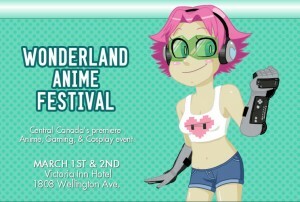 This weekend, March 1st and 2nd, there will be a huge gathering of Sailor Moon voice actors at the Wonderland Anime Festival in Winnipeg. The convention will be playing host to Linda Ballantyne, the voice of Sailor Moon, Kate Griffin, the voice of Sailor Mars, Susan Roman, the voice of Sailor Jupiter, Toby Proctor, the voice of Tuxedo Mask, Ron Rubin, the voice of Artemis, and John Stocker, voice director for the series. The convention will be taking place at the Victoria Inn Hotel, near the airport. The convention will be holding individual panels for each voice actor on the main stage throughout the weekend. Saturday will feature Linda Ballantyne at 11am, Toby Proctor at 1pm, Susan Roman at 2pm and Katie Griffin at 3pm. Sunday continues with John Stocker at 1pm and Ron Rubin at 2pm. In addition to these guests the Wonderland Video Room will be screening episodes of Sailor Moon throughout the weekend. Tickets are still available for $35 for the weekend or $20 for a single day.